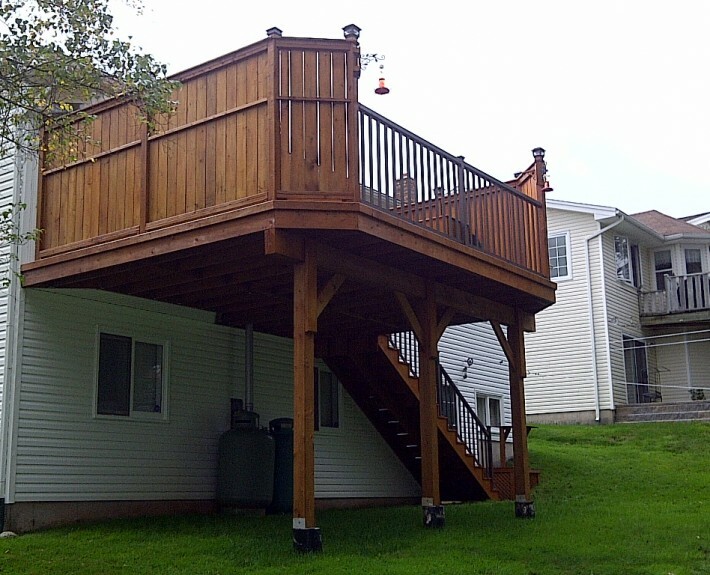 Privacy and proper construction for a deck this distance off the ground were the priorities with the design of this project. 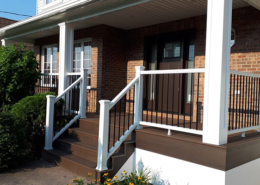 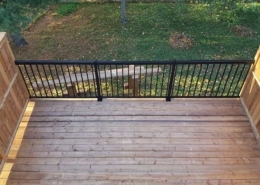 Add to it maintenance free aluminum rail with bayed corners on the deck and all was accomplished. 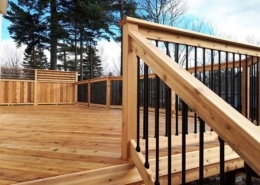 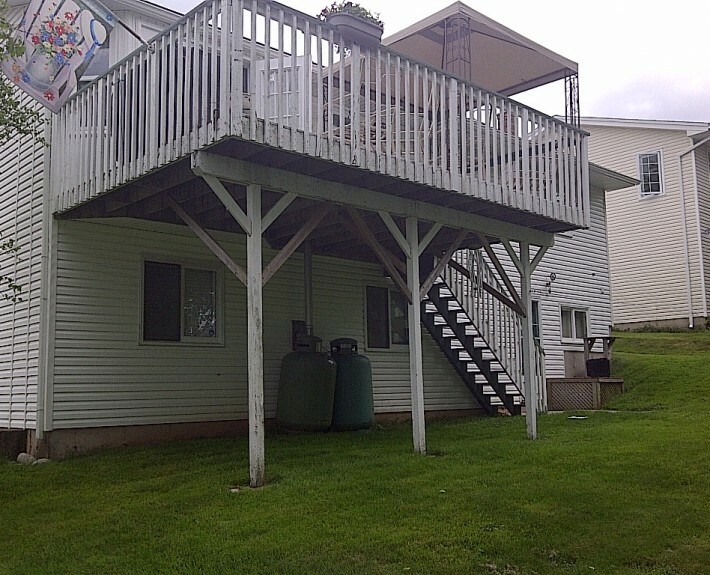 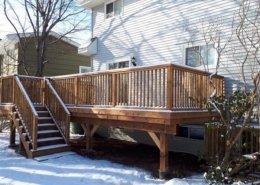 The pleasure to sit outside with the peace of mind knowing your deck is safe and to enjoy a private space is now what this home owner has for many years to come.